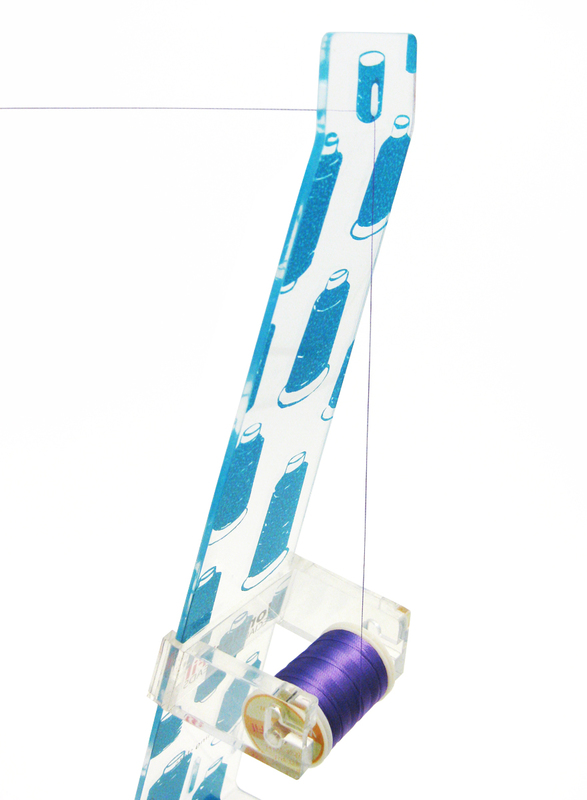 A light weight all-in-one thread stand designed by WonderFil Specialty Threads to create vertical drawing, eliminating tension changes and preventing slippery thread from unreeling. The Thread Tamer is able to fit any sized spool of thread and is capable of holding up to three spools in place for couching and cording so as to prevent any undesired tangling. 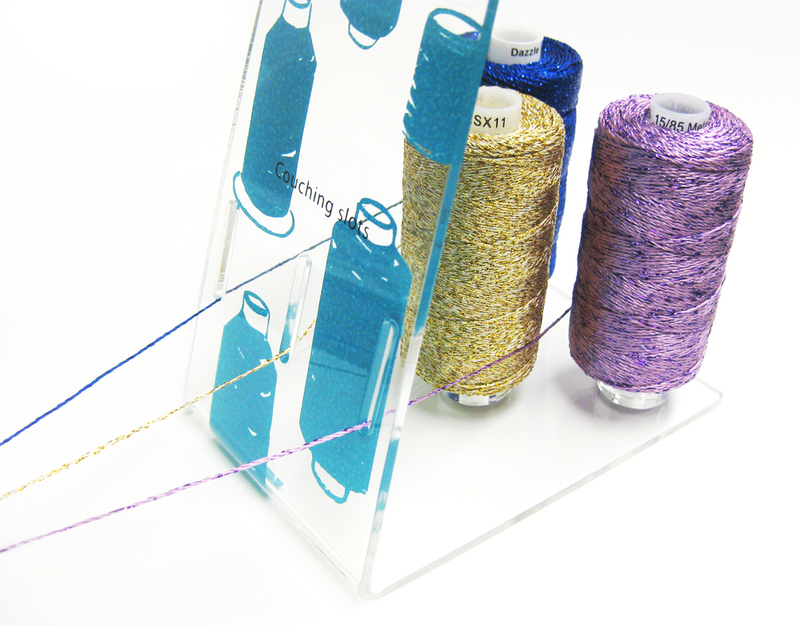 This light weight all-in-one thread stand is designed to create vertical drawing, eliminating tension changes and preventing slippery thread from unreeling which happens when thread is drawn horizontally. The stand also comes with a detachable perpendicular drawing feature ideal for small sized spools. The Thread Tamer is able to fit any sized spool of thread and is capable of holding up to three spools in place for couching and cording so as to prevent any undesired tangling. Keep this handy little stand beside your machine to make sewing a breeze!